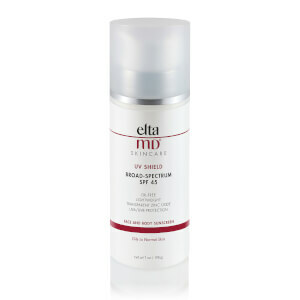 With Elta MD UV Clear Broad-Spectrum SPF 46, you need not worry about your sensitive skin anymore. 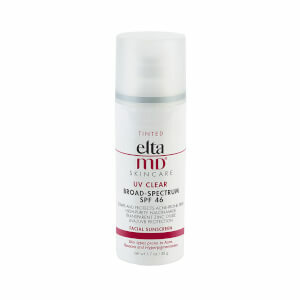 As the 2010 Winner of Elle Genius Award for Skin, Elta MD UV Clear Broad-Spectrum SPF 46 offers not only UVA/UVB protection, but also treatment for skin discoloration and acne. Its oil-free, light texture goes on smooth, leaving behind no residue on the skin. 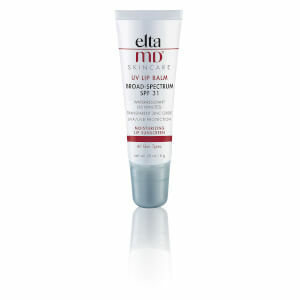 This product maintains skin health by freeing skin of fatty acid levels and reducing redness. This oil-free, non-comedogenic formula can be worn with or without makeup. All skin types, but is ideal for those with sensitive skin. Apply liberally to face and neck 15 minutes before sun exposure. Use a water-resistant sunscreen if swimming or sweating. Re-apply at least every 2 hours. Niacinamide (vitamin B3): Anti-inflammatory that reduces redness and enhances the appearance of dry or damaged skin and restores suppleness. Sodium hyaluronate (Hyaluronic Acid): Humectant that attracts and retains moisture, improving skin feel and restores suppleness. Tocopheryl acetate (vitamin E): Antioxidant that reduces free radicals to help diminish the visible signs of aging. Active Ingredients: Zinc Oxide 9%, Octinoxate 7.5%. Inactive Ingredients: Purified Water, Cyclopentasiloxane, Niacinamide, Octyldodecyl Neopentanoate, Hydroxyethyl Acrylate/Sodium Acryloyldimethyl Taurate Copolymer, Polyisobutene, PEG-7 Trimethylolpropane Coconut Ether, Sodium Hyaluronate, Tocopheryl Acetate, Lactic Acid, Oleth-3 Phosphate, Phenoxyethanol, Butylene Glycol, Iodopropynyl Butylcarbamate, Triethoxycaprylylsilane. This is an amazing sunscreen. Our whole family uses it. My husband has v sensitive skin and was skeptical to use it but have made a believer out of him! Absorbs well into skin. I use the Elta MD elements tinted as well. I am susceptible to brown spots so I need to choose my sunscreen carefully. It is a physical sunscreen which is great. With zinc oxide, niacinamideand other wonderful stuff. This is an amazing sunscreen! Very lightweight absorbs quickly, does not leave your skin feeling sticky and shiny. My skin feels so calm after putting it on, and product distributes very well. I have been using Elta MD sunscreen for years. This is probably the fifth bottle I have purchased on various online stores. It is light and works well with my normal to combination skin type. I also like that it feels more like a face lotion than the typical drugstore sunscreen. By far, this is the best sunscreen I have used so far.